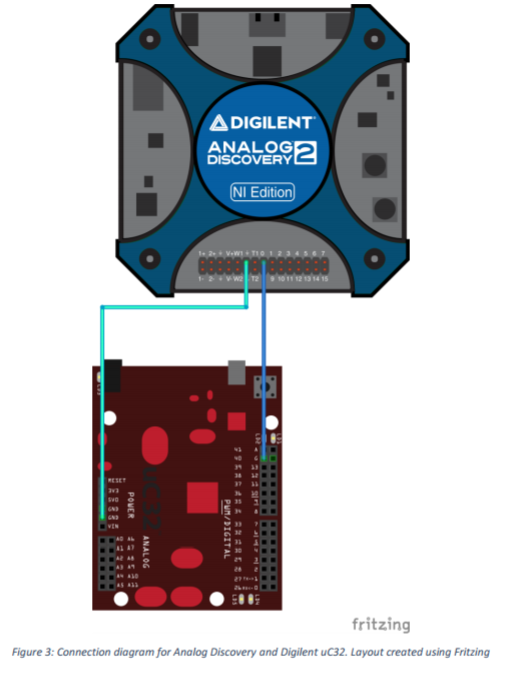 Are you an Analog Discovery user that only employs it as a tool for circuits? Or are you under the impression that the Analog Discovery is exclusively for use in introductory engineering courses? If either of the above pertain to you, you might not be capitalizing on the full capabilities of the Analog Discovery. According to a paper by a team of professors from the Milwaukee School of Engineering, many users are not aware of the full potential of this powerful product. 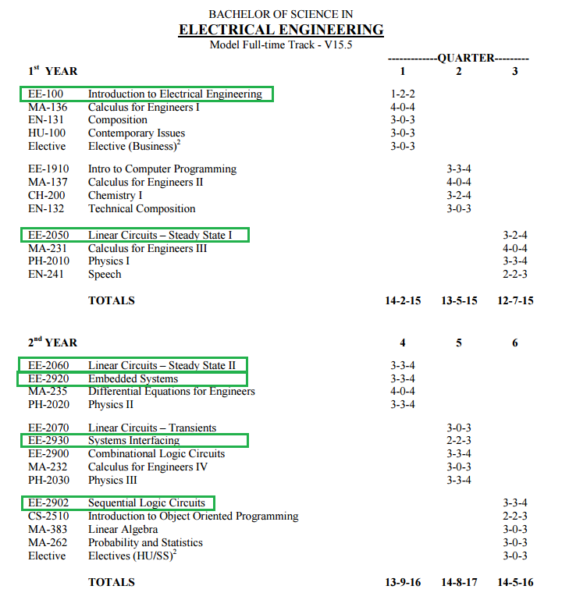 The paper, which highlights the prevalence of the Analog Discovery in introductory circuits courses, challenges the idea of the Analog Discovery as merely a first-year tool. It illustrates the device’s potential by demonstrating the effectiveness of using the same tool in upper level courses including electromagnetics, digital signal processing, signals and systems, communication and control systems courses. The authors assert that the portability and the advanced functionality of the Analog Discovery is what allows it to be such a powerful tool in the curriculum. However, the successful implementation of the tool depends on an understanding of the Analog Discovery’s technical limitations, how to design experiments within its bounds and tying the experience to where it is appropriate in the courses. The paper discusses solutions to this in detail. The attractiveness of the Analog Discovery in curriculum has increased in recent years, largely in part to how ubiquitous laptops and computers are on campus (it is no longer as much of a barrier for students to have computers). The appeal as an affordable instrument interfacing over USB to a computer or ‘mobile studio’ has already been proven effective in many embedded systems courses using low-cost microcontroller platforms. The portability allows in-lecture and homework experimentation for courses that may not have a lab component. Additionally, the direct interfacing with a computer has some advantages: measurement data can be readily exported to data files on a computer, allowing for data to be processed or plotted and students can write scripts to automate measurements. The technical limitations must be taken into consideration when designing experiments, but it is important to note that for many experiments these specifications are acceptable. Every electrical engineering experiment does not require industry-grade calibrated measurement capability and the educational benefits of the Analog Discovery board outweigh the need for absolute fidelity in the measurements. The paper then walks through direct examples of where the features of the Analog Discovery are matched well with upper level courses. The authors give an example, then a lab experiment with each of the courses. Here are some samples from the paper! Goal: Students visualize and understand transmission line (T-line) concepts. 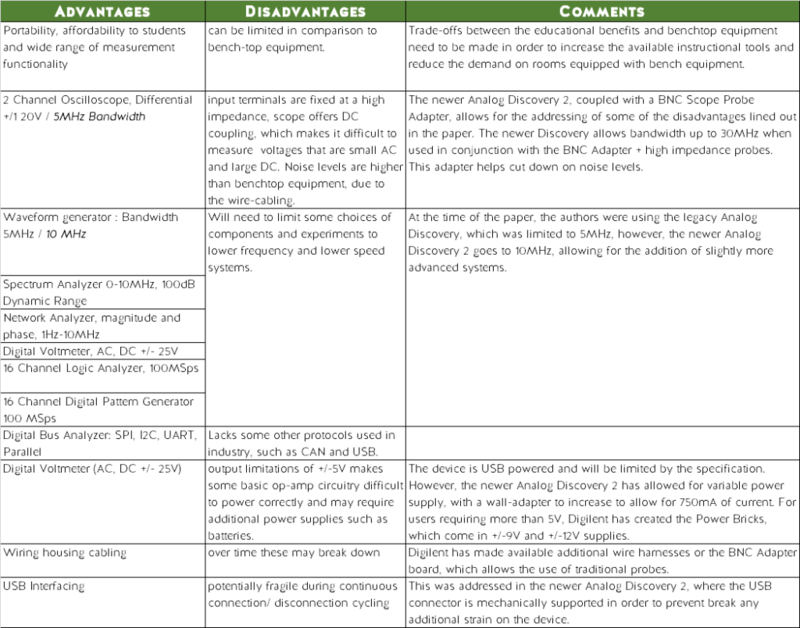 Analog Discovery Functions Needed: Oscilloscope, Waveform Generator and the Network Analyzer. Students measure input impedance on a 50 Ohm coaxial cable in the time domain. This explores cable ringing, reflections and delays using various resistor loads. Students explain why a multimeter does not measure the correct characteristic impedance of a cable. The experiment opens up opportunities to demonstrate cable time delay, its relation to length, changes in wave amplitudes due to load impedance and time reflectrometry (TDR) concepts. The author offers further tests to be added by including locations of unknown faults along a coaxial cable. Using the Network Analyzer function on the Analog Discovery, students can measure magnitude and phase. They can also use this function to observe other electromagnetic phenomena such as coupling in inductive coils, cross talk between closely spaced parallel T-lines and parasitic impedance. The only constraint in these experiments is selecting components with self resonant frequencies below the [30MHz] bandwidth. The author lists this limitation as an opportunity for reinforcement of lumped component approximations that often get taken for granted at lower frequencies. Screenshots from electromagnetic experiments using the Analog Discovery. 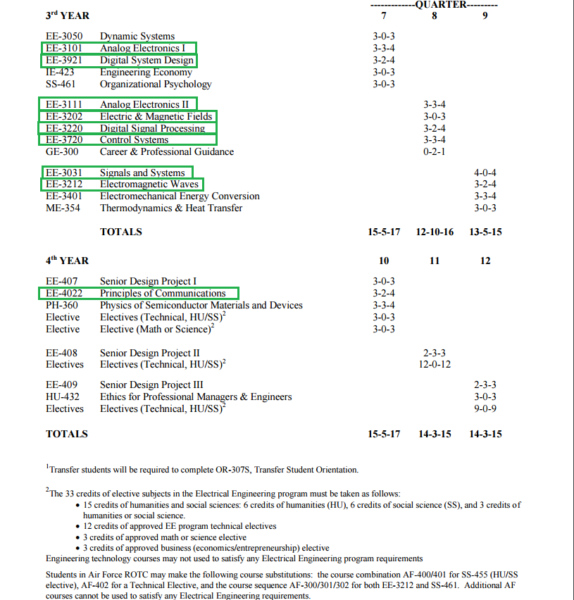 Goal: Students deepen their understanding of rectifier circuits and amplifier concepts. Analog Discovery Functions Needed: Oscilloscope, Waveform Generator, Network Analyzer, Spectrum Analyzer and Power Supplies (if using Analog Discovery). Students begin by measuring the transfer function with an op amp and with the Analog Discovery Network Analyzer (a task that is normally tedious because students have to take down point by point, but with the Analyzer it only takes seconds). Then students can experiment with different types of amplifiers, comparing the measured results to the theoretical ones. The Network Analyzer has several built in functions for filters, that allows students to see frequency dependence of op amp closed looped output resistance. 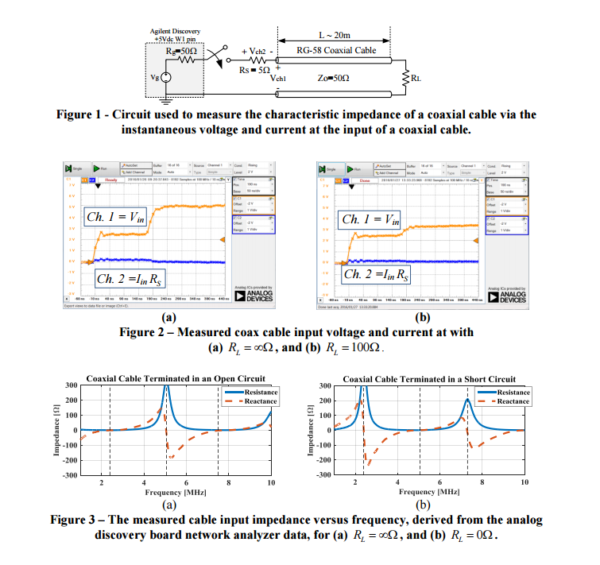 Next students can investigate waveform distortion (THD) of a voltage amplifier. Students should evaluate various clipping levels on THD in order to develop an understanding of practical amplifiers (most amplifiers are non-linear to some degree, which differs from the theoretical linear amplifiers often focused on in courses). Afterwards, students can examine full-wave bridge rectifiers from the frequency perspective, using the Spectrum Analyzer. 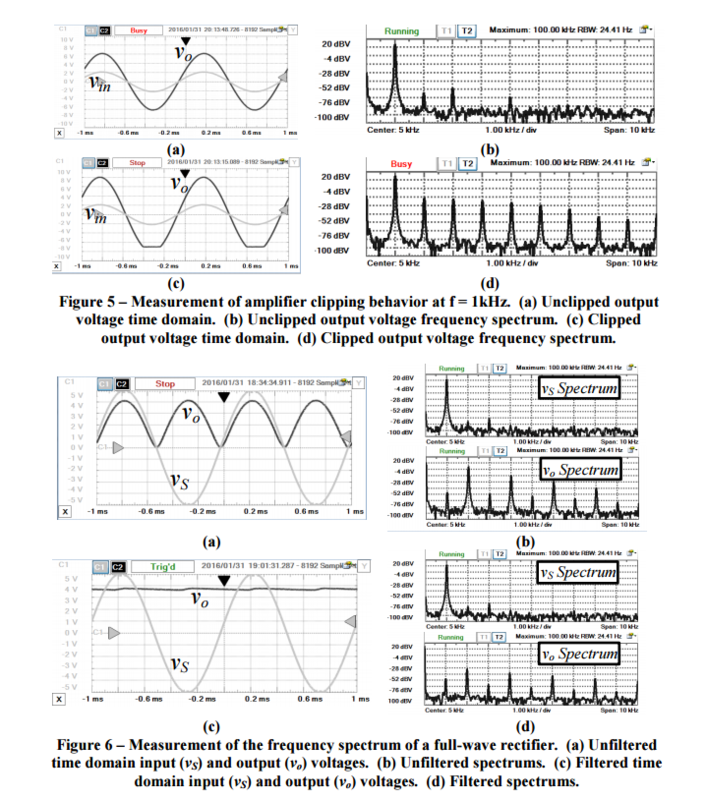 Combining the Waveform Generator with the Spectrum Analyzer, students can experiment with filters, reinforce Fourier concepts, and emphasize how the rectifier circuit generates new frequency components. Goal: Students access the characteristics and performance of their filter implementations compared to theoretical predictions and simulations. Analog Discovery Functions Needed: Network Analyzer and Waveform Generator. Example Lab: During the DSP course, students are asked to design implement and test digital filters running on real time DSP hardware. Students use the Network Analyzer to test their designs and debug their implementations. Students explore the concepts of bandwidth limitations imposed by anti-alias filters and investigate phase responses in the system in comparison to theory. Goal: At the authors’ institution, this course does not have a lab component. However, allowing students to visualize the convolution integral and use the FFT capabilities helps augment the lecture experience. Analog Discovery Functions Needed: Network Analyzer, Waveform Generator and Oscilloscope. 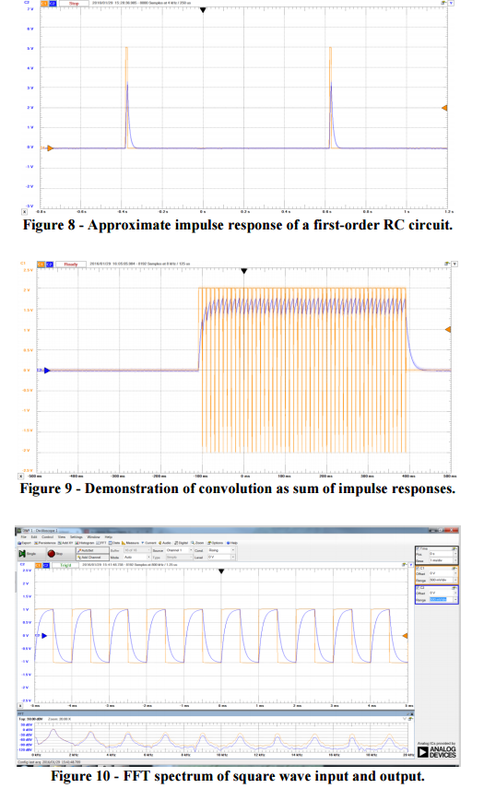 Students can apply a low frequency pulse signal, with short pulses at the input of a system in order to approximate a systems impulse response. Then, students can use the FFT capability of the Oscilloscope program to analyze the spectrum of certain periodic signals. Goal: To help students visualize signal modulation techniques (e.g. amplitude, frequency, phase modulation) to understand in both the time and frequency domain. Analog Discovery Functions Needed: Waveform Generator, Spectrum Analyzer and export function. Students will visualize many of the modulated waveforms using the Spectrum Analyzer feature. By using the Waveform Generator, the student can modify waveform parameters and view the signal in the Spectrum Analyzer. If the student wishes to further visualize the waveform, the data can be exported to a visualization software (such as MatLAB or Multisim). Creating interactive homework examples can help illustrate frequency modulation concepts. Goal: Allow students to model by generating experimental frequency response graphs for a particular system. Analog Discovery Functions Needed: Waveform Generator, Oscilloscope, and Network Analyzer. In the authors’ student setup, they are using a controls lab that has a servo motor control system. Certain experiments have students constructing analog controllers to interface with the power amplifier and plant sensors. Students are asked to model systems and can use the Network Analyzer to show frequency responses and characterize servo motors. All data can be exported and sent to other visualizing software. When we look at all of the courses that are mentioned in this paper we see that the usage of the Analog Discovery could potentially span several years inside of a curriculum, from introductory courses all the way up through the higher level classes. While the authors detail the untapped potential of the device they don’t advocate using the Analog Discovery to replace bench equipment entirely, especially where the limitations on bandwidth or noise are a factor. However, as a method to add lab experiments to lecture halls where space is limited, or allowing students free access to equipment beyond physical desktop spaces, the Analog Discovery is a powerful, pedagogical tool for educators to consider. After examining the article and claims it made, we here at Digilent can go on record as saying we could not agree more. After all, we designed the Analog Discovery to be a tool that a student would carry in their backpack from their freshman year through professional career. This is why we designed it with high performance hardware, like a 14-bit converter, and included advanced tools in the software (including a vector Network Analyzer and Spectrum Analyzer). We also opened up a scripting engine for users to interact with the hardware in ways beyond what we originally provided. 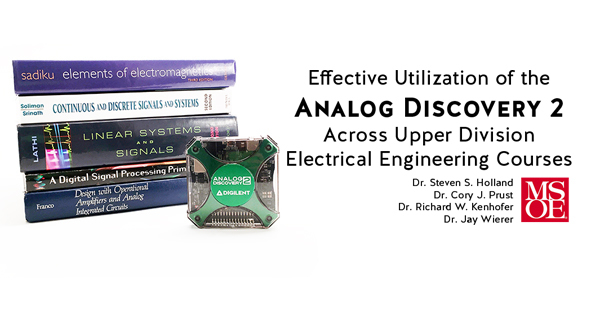 The Analog Discovery was intended to be the go-to portable companion for anyone requiring electronics instrumentation and not only to be a cheap alternative to bench-top equipment for a circuits course. The full potential of the Analog Discovery’s seems to be one of its best kept secrets, however with insightful work such as this paper, it is becoming increasingly well known. This is not just the tool for a student to start out with, but it is a tool that can be used all the way to their careers in industry. Recommendations from the authors on what experiment design considerations need to be made. 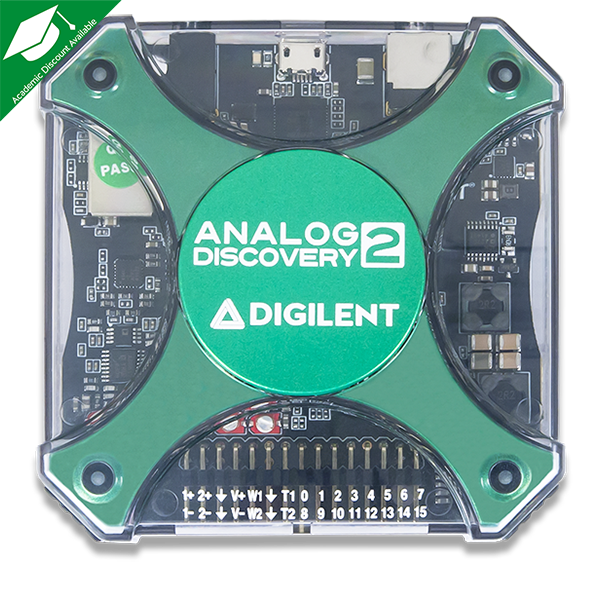 Note: If you are eager to explore the Analog Discovery for yourself, please feel free to purchase it at the store. Additionally you can demo the WaveForms software for free and see for yourself the true capabilities of this amazing device! Next Article When is a Multimeter Not Enough? 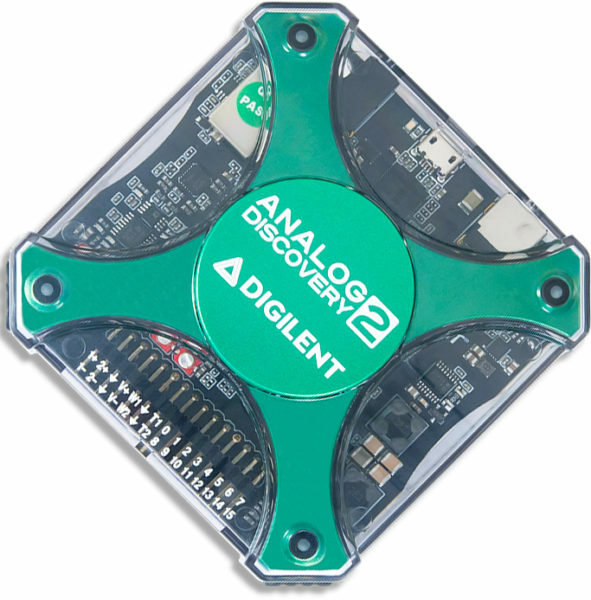 Are you planning to implement SMU for the upcoming versions of Analog Discovery?